This is an optional Tekno eb410 Carbon Nylo Front Top Brace. The advanced composite front top brace is a direct advancement for the stock carbon part used on the eb410 platform. This precision part gives extra strength to the front bulkhead by reinforcing the bulkhead directly into the chassis brace. This gives maximum durability to all racers! PRE order now!! 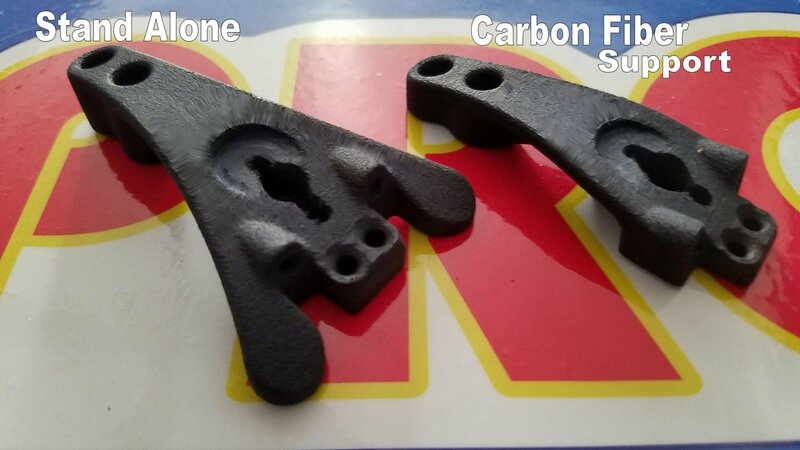 Stand alone or Addition to Carbon Fiber top brace.